Like a cool breeze! 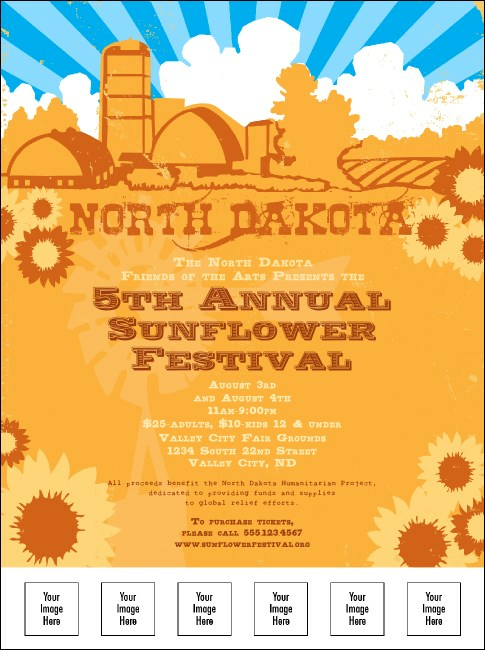 Introduce some fresh air into your event planning with this North Dakota Flyer. Just getting started in the Roughrider State? Smooth out the edges with a stunning sunflower-themed Flyer that allows you to upload six of your own custom images right from your computer to our ticket template. Ease into event planning with printed publicity from TicketPrinting.com.